This is a big year for us. For the first time ever, both Stella (6) and Hazel (5) are in school full time. That means an even crazier morning routine with two snacks and lunches to pack and water bottles to fill before we can get out the door. It only took about a week of chaotic scrambling at 6:30am to realize something had to change and mommy needed help. Introducing the school lunch station! 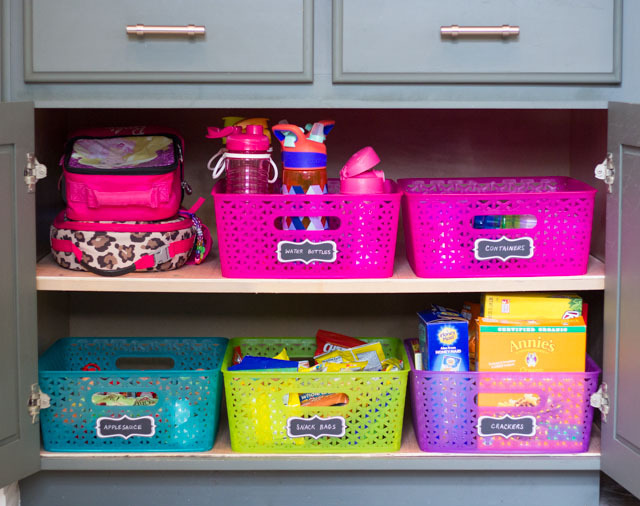 By clearing out a lower cabinet and dedicating it to lunch box containers, water bottles, and packaged crackers and snacks, Stella and Hazel now have everything in reach to pack the majority of their OWN lunches and snacks by themselves…and we do it the night before. 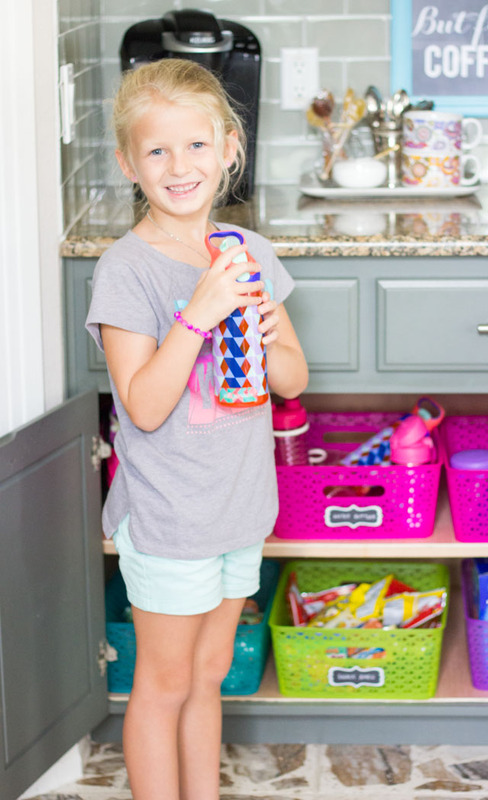 Read on for my 6 steps for empowering your kids to make their own lunches with the help of a school lunch station! 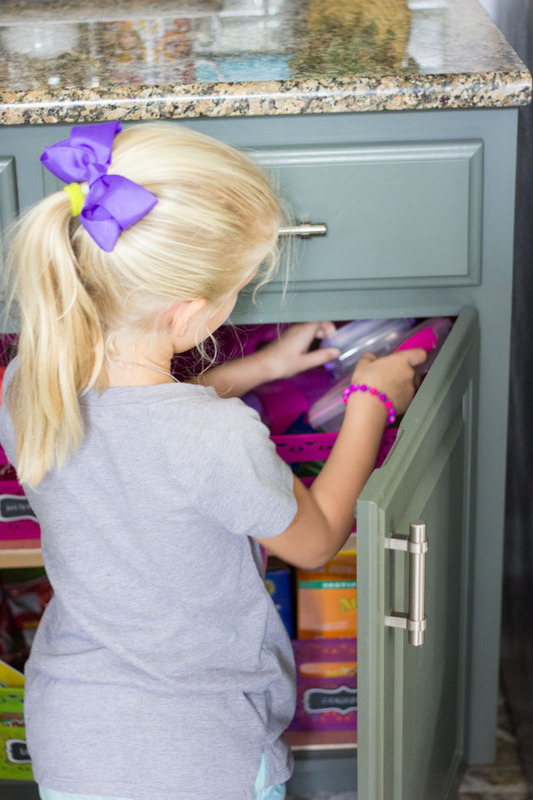 I realized one of the biggest barriers to having the girls help make their own lunch and snacks was that most of the food they needed was out of reach – either high up in the pantry or the refrigerator. The rest of their lunch box containers and cups were scattered across several cabinets. I decided to clear out this cabinet that previously held a hodge podge of things (it was a good opportunity to purge and rearrange items to places where it made more sense to store them!). 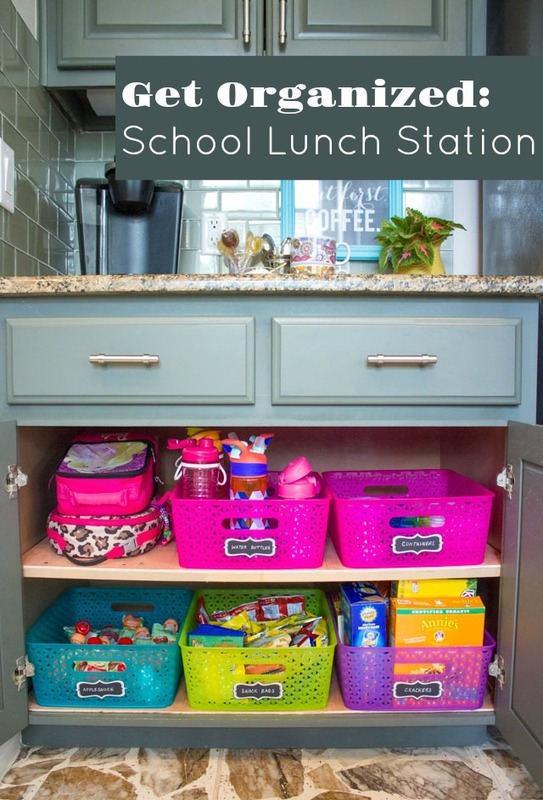 Having a dedicated space was a huge step towards making lunches easier (and more fun) for my kids. 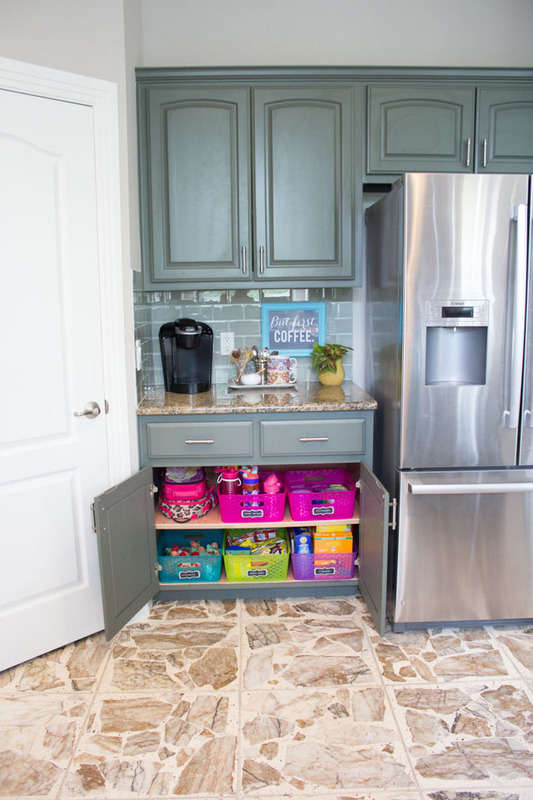 Previously I had the lunch boxes at the bottom of the pantry, the water bottles in an upper cabinet, and the storage containers in another cabinet. Having them all on one shelf makes it SO much easier to find what we need. 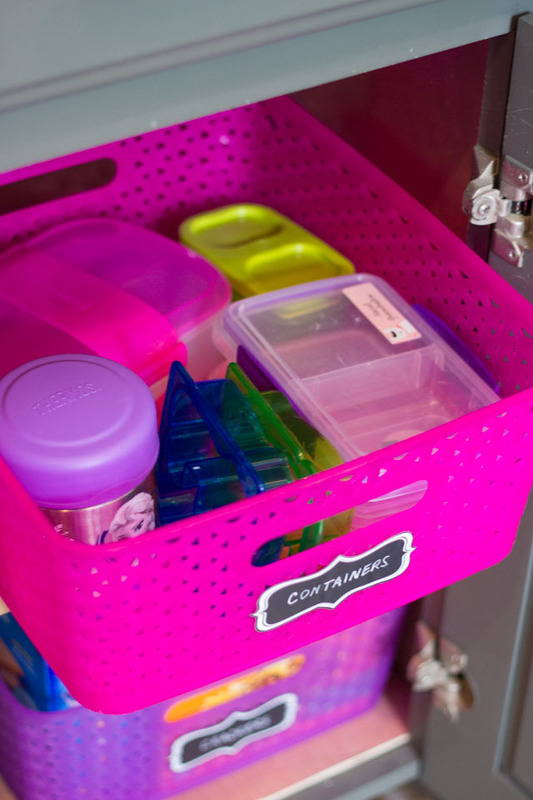 To help corral them, I used some colorful plastic bins from At Home (a larger version of the ones I used in my homework station – if you haven’t seen that be sure to check it out)! I find that the bins help keep everything from toppling over and becoming a jumbled mess on the shelves. The girls can just pull out a bin and get what they need. Each of my girls is supposed to bring a “dry, healthy” morning snack for school each day. For us, that means a lot of cracker packs! I created a bin for individually packaged crackers, another bin for larger boxes of snacks, and one dedicated to applesauce, which they go through a lot of! 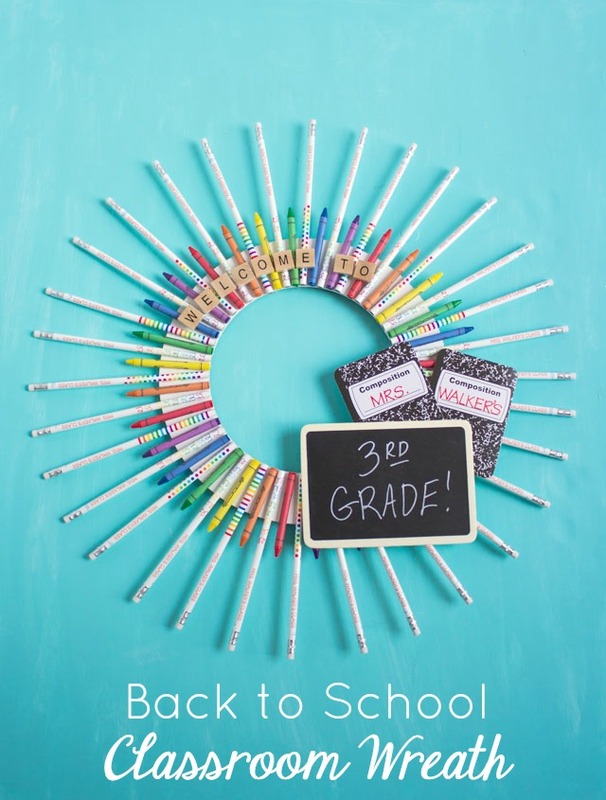 Determine what the right groupings are for you and give each its own bin with a label (these chalkboard labels are also from At Home). 4. 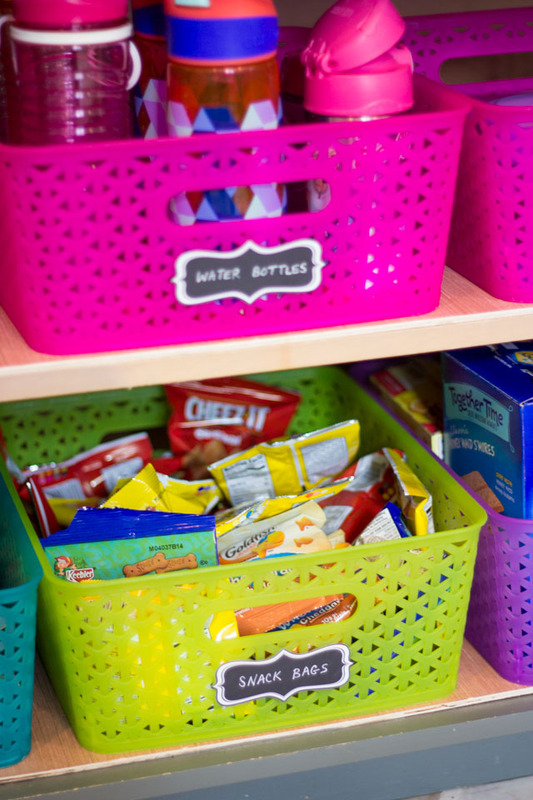 Rethink the Refrigerator Of course, you can only store shelf stable items in your school lunch station, so in addition you might want to think about how to make refrigerator items more accessible for younger kids to reach. Stella and Hazel can now grab deli meat and cheese from a bottom drawer in the fridge, along with fruit and veggies. I still help them with any cutting, but they can at least look for what they want and grab it themselves. 5. 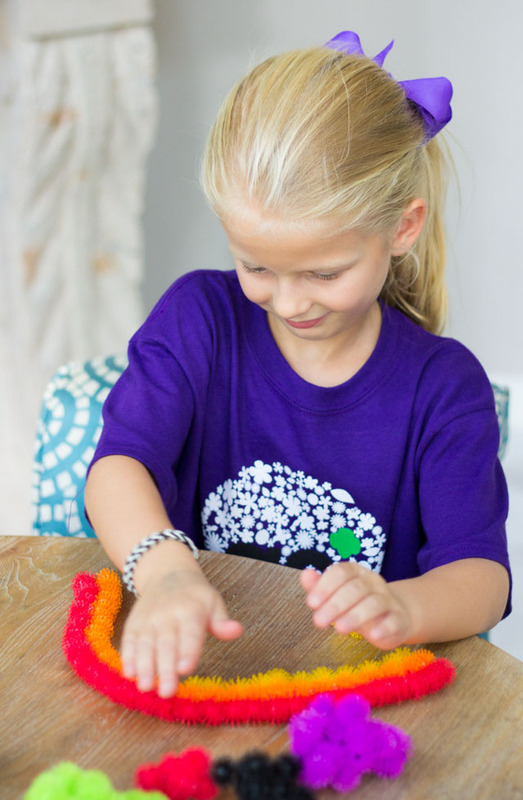 Let Kids Take Risks I often cringe watching my 5 year old fill up her own water bottle (9 times out of 10 it overflows) or attempting to pour crackers out of a box into a small plastic baggie! But I know letting them try is the only way they are going to learn. My mom was the one who encouraged me to have Stella and Hazel start making their own lunches and snacks, as she proudly claims that I made my own lunch from 1st grade on. 😉 6. Set a Routine In order to stick with it, and not regress to me scrambling in the morning, we’ve found it helpful to pack everything up right after dinner. I clean up the dinner dishes while the girls are packing their lunches. So far, this routine has worked great! We keep everything in the refrigerator overnight and all we have to do is pull it out in the morning. What do you think? 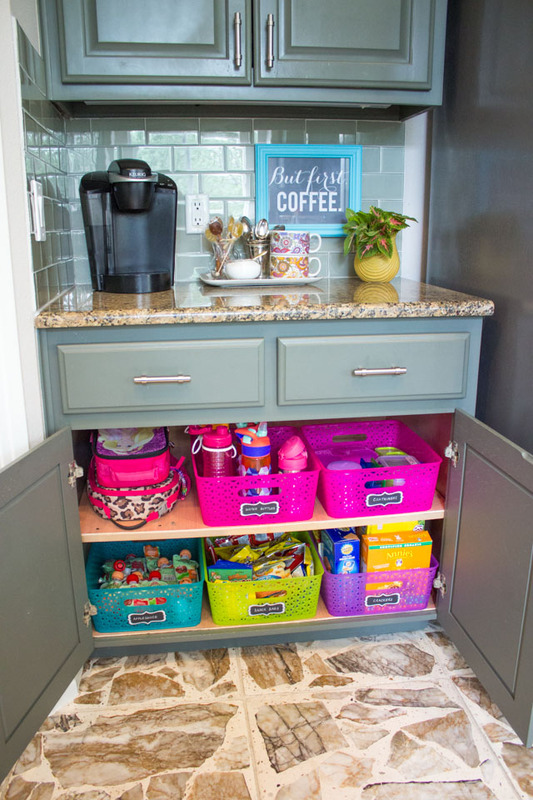 Could you use a school lunch station in your home? What tips do you have for getting your kids to help with their lunches – I’d love to know! This is brilliant! 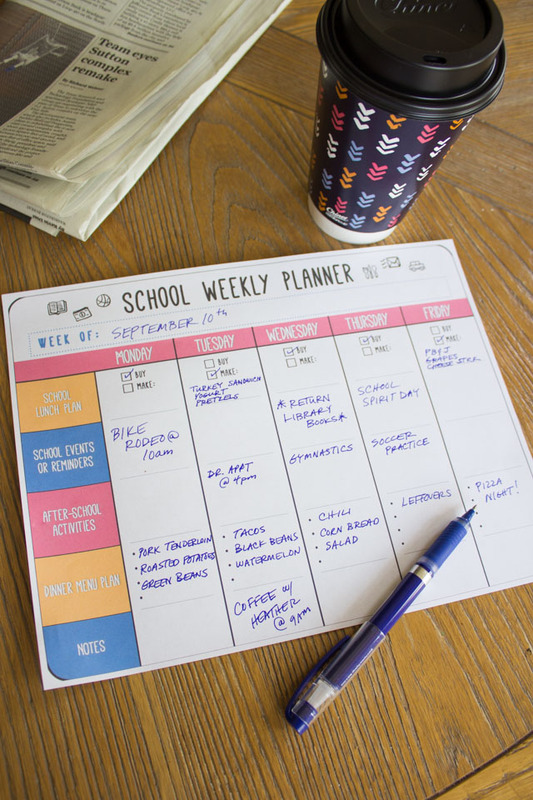 What a clever, creative routine…! Love it, Haeley!!! 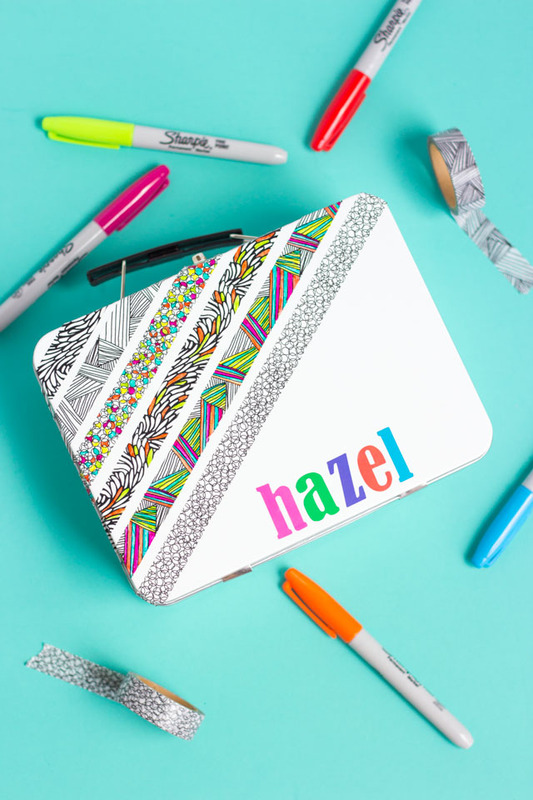 Supply of the Month Challenge: Color-Your-Own Pencil Box!